Only 2 left! This item ships in 1-2 days. 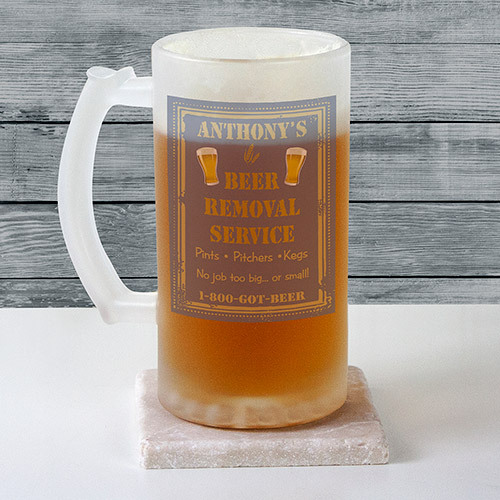 A personalized beer removal stein glass will put a smile on any beer lovers face. It makes a great gift for the holidays, birthdays, or even for all of your groomsmen as Personalized Gifts for Him. Our Personalized Men Gifts can be personalized with any name to makea fun glass for any favorite brew.